A new guide to tackling workplace stress using the health and safety executive management standards has been produced by the TUC and the Health and Safety executive. Branch members increasingly report stress as being a hazard in the workplace, causing them mental and physical ill-health, and negatively affecting life both in work and at home. In one of our workplaces, over 60% of members surveyed said that they were stressed citing overwork, understaffing, and onerous performance management and pay systems. We have a range of resources in a speacial section of this website here and you can download the new publication, Tackling Workplace Stress. Let the branch know about how you are dealing with stress in your workplace. The new guide is designed to help union representatives work with employers to find practical solutions to work-related stress. Last year 7 in 10 respondents to a TUC survey of more than 1,000 health and safety representatives identified stress as the top concern in their workplace. 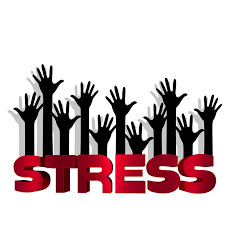 The new guide is based on the HSE ‘management standards’ in handling stress. It breaks down the causes of work-related stress into six key areas: demands; control; support; relationships; role; and change. The handbook proposes that a group – made up of representatives from every level of the organisation – gathers information on the current situation in the workplace and carries out a risk assessment based on the HSE standards. The group can then identify solutions such as tackling a long hours culture, improving workplace practices or increasing staffing levels.